These are pictures of extraordinary ancient Indian art and architecture from the 6th and 7the centuries. 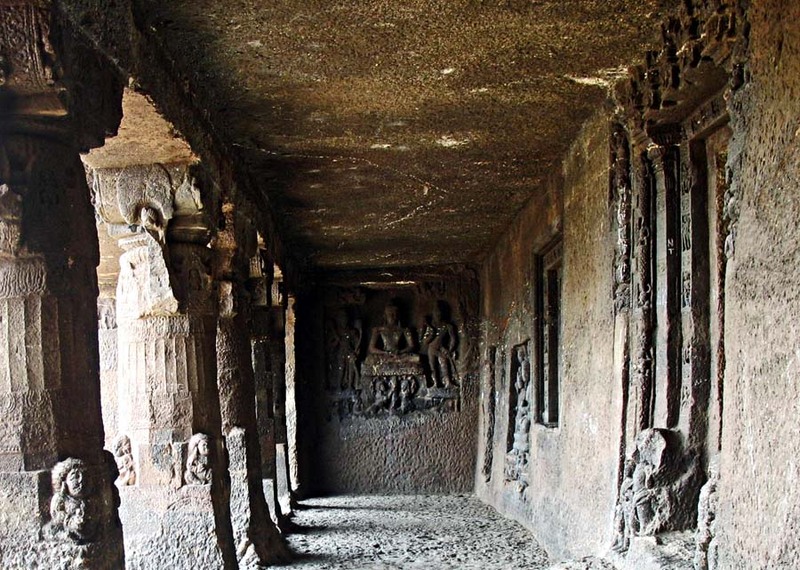 These cave temples are Buddhist shrines cut out of rock on a hill-side near Aurangabad in Maharashtra, India. Unfortunately they have been given less importance due to the spectacular caves temples at Ajanta and Ellora, also on the outskirts of Aurangabad city and probably for the same reason UNESCO has not declared this as a World Heritage monument or site. 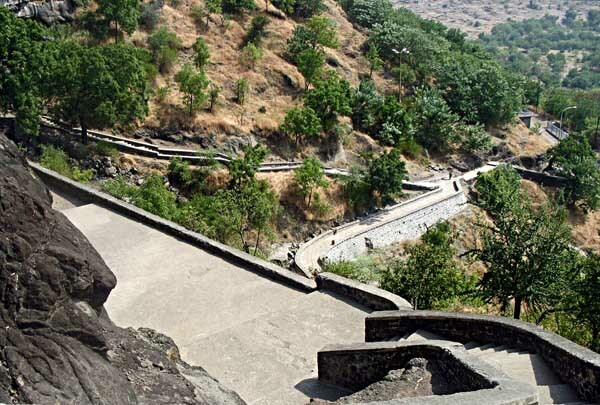 However, the Aurangabad caves are a protected monument under the Archaeological Survey of India and something no tourist should miss because of its sheer historical significance. 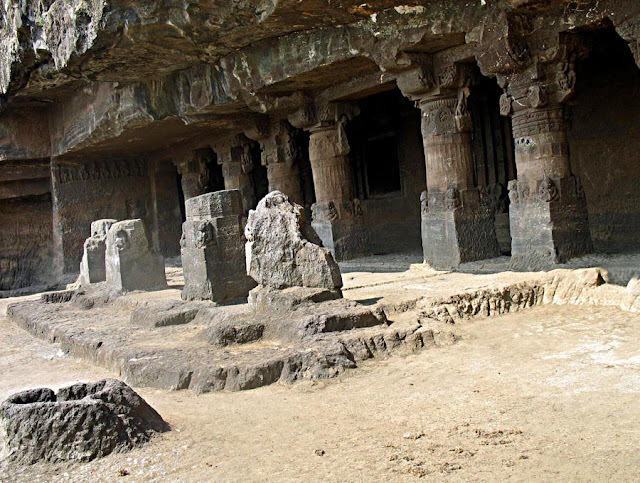 Like the Ajanta and Ellora cave temples, these caves lay forgotten as they had been built in the wilderness and the Mughal rulers failed to destroy them. One has to walk up the hill-side to see these caves but the walk is worth it. In any case the steps are not very steep as can be seen in these photographs. This photo was taken from near the top of the hill, outside the cave temples. 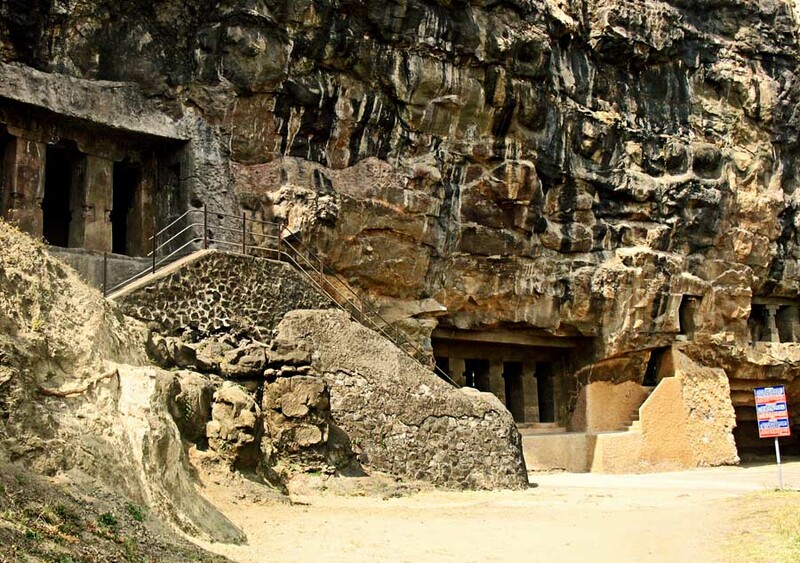 This is a picture of the exterior of the caves with its elaborately carved pilars and some broken statues in the front. A lot of erosion has taken place and one wonders whether any restoration work is planned. A look at the rough exterior of the Aurangabad temple caves. 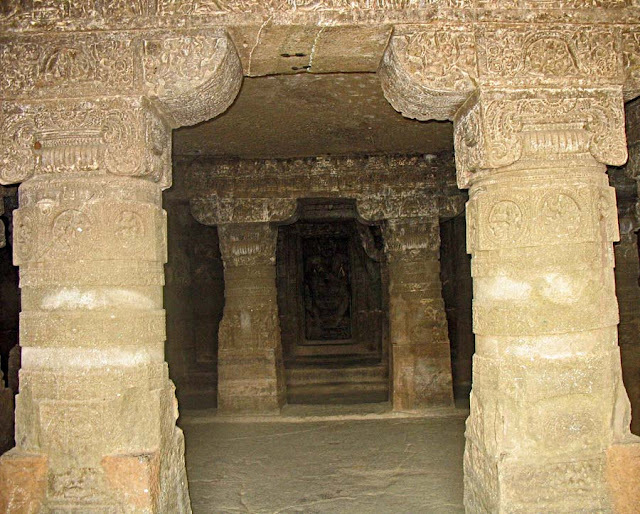 A view of the inside of the of the corridors inside the Aurangabad caves. A sculpture of Buddha with some other unknown figures next to him is visible at the end of the corridor. 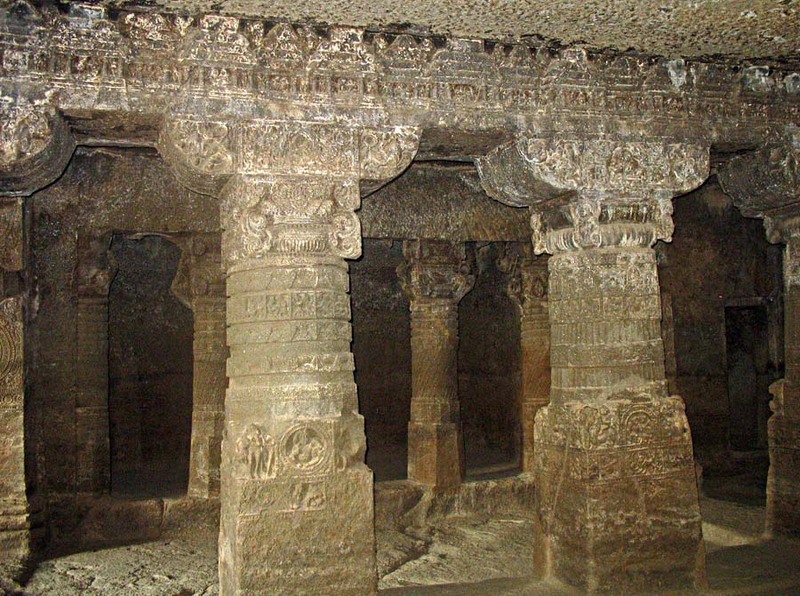 All the carvings are elaborate and one can only imagine the beauty of these caves all those centuries ago! Just the thought takes one's breath away. A closer look at the carved pillars inside the Aurangabad temple caves. A deity can be seen inside the inner sanctum of the caves. Has to be Buddha. Check out all images filed under Aurangabad Caves which includes pictures of the interior and the sculptures and carvings inside and also Ajanta and Ellora . Or try the label "Buddhism" for sculptures and shrines of Buddha from different parts of the world. Why don't you have a search bar in your site? Its difficult to navigate through the site to get images without a search bar. Since you are a part of google adsense, they have a search box, which you can put up in your site? DI, I could have sworn that I had a search function already installed but when I checked I found that I hadn't. Strangely I have even mentioned it in my intro at the top of the page. I think I must have deleted the search function by mistake...I don't know. Anyway, thanks for letting me know.